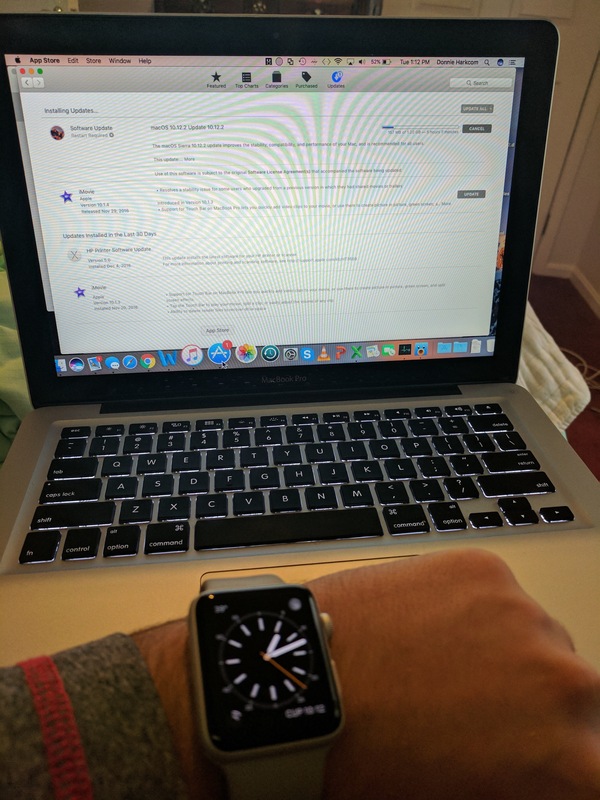 Do you need an Apple Watch? But I hope you came here for more than that. 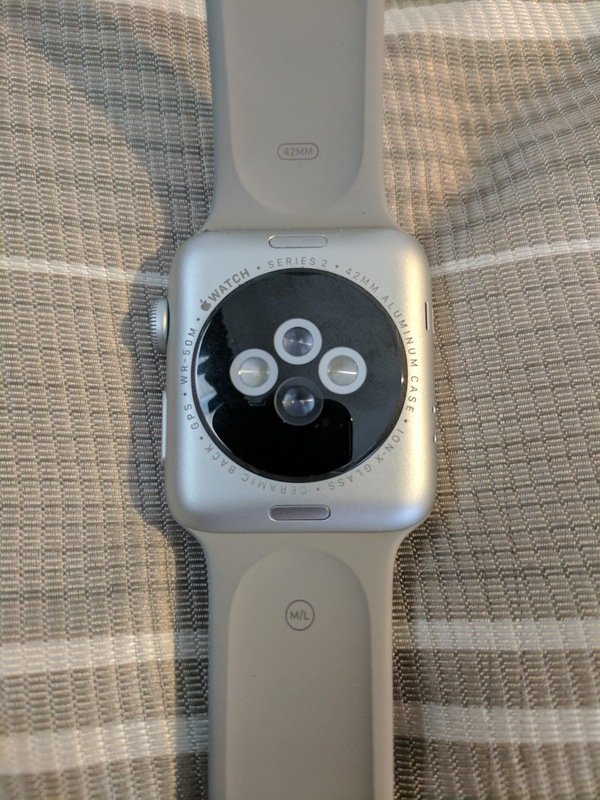 I have had an Apple Watch since day one. The anticipation for this new device from Apple was so high. It was the first new product category from Apple since I was really turned on to Apple a couple of years ago. So I was pumped. I got it. Had it for about three weeks or so and decided to sell it because the demand was so high at the time. I was able to make about $240 dollars off of it on Ebay. 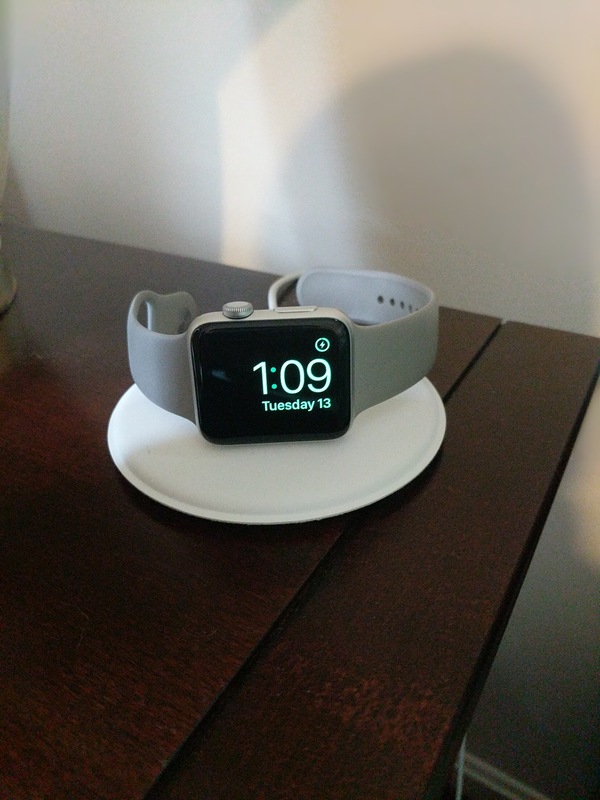 I did enjoy what the Apple Watch did for me but I was not blown away. Fast forward about three months or so and I went to Disneyland. When I was there, I could not believe all of the people with Apple Watches. We were within 6 months of the release and there were already more of those than there were of any other smart watch, excluding Fitbit. It made me miss mine. I hate to be “that guy” but Apple definitely has that cool factor. So when I got home from Disney, I bought my girlfriend and myself two new Apple Watches. I did find a new love for mine. I have always wore a watch so having something on my wrist all day long was natural for me. That is one complaint I hear from people who aren’t used to wearing watches. Getting notifications on your wrist throughout the day was awesome. If you are at work or driving, you can take a quick glance and see if it was something important that needed your attention right away. The voice dictation for texting back worked just as good as if you used it on your iPhone. I found that extremely useful on long road trips where you didn’t stop for hundreds of miles at a time. Dictation is never perfect but it always gets your point across without having to text while driving. Another thing I enjoy about the Apple Watch is music controls. Again, while driving when you shouldn’t be playing around with your phone, a simple tap on the screen with your eyes still on the road you can skip a track or lower your volume. It is less interaction that messing with your vehicles built in entertainment system. I find a lot of value in that. Another one of my top uses for the watch is fitness. The fitness tracking is top notch. I have used Fitbits for years and they have been fine with step counting. The Apple Watch does so much more. One thing that is neat is that you can tell it what kind of workout you are about to complete. It has options for indoor/outdoor walks/runs, indoor/outdoor cycling, rowing, stair steppers, swimming and my favorite elliptical. 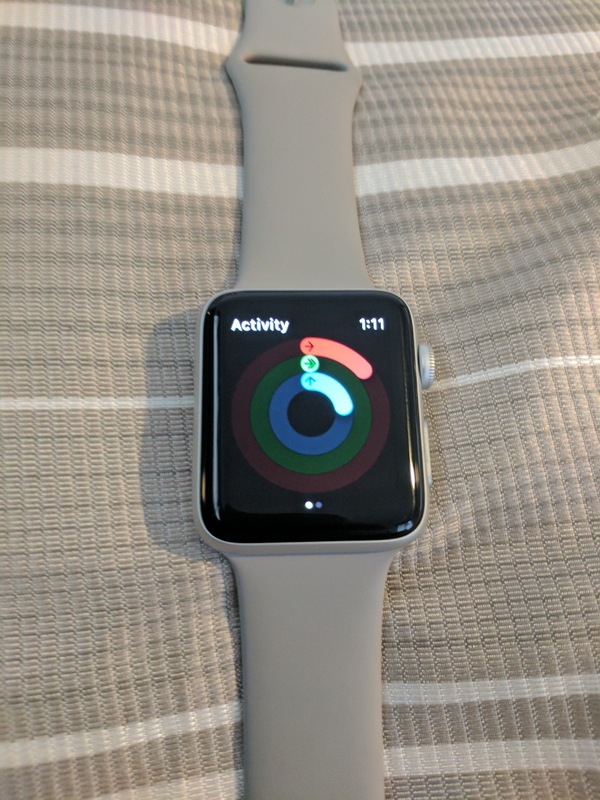 So it knows what kind of activity you are doing and can tailor your stats/results based on what you have told it you were doing. Plus, it gives you these cool colorful rings to fill for your daily goals. It is very motivating and I get a lot of value out of that feature alone. So now the part where I have to stop being lovey dovey. I tried interacting with the applications but it was always unbearably slow. I tried checking into different venues using the location based app Swarm, and it took FOREVER. It was silly. Why would I wait for this app to load on my watch when I can pull out my phone and do it in less than 30 seconds? You wouldn’t. Plain and simple. That was for every app that I tried using. I gave up on it. To me, this is a watch. In that respect, its darn near perfect. This is one of the most accurate time pieces you will find. When I test out different Android devices, I still use it as a watch. It is just so tough for me to recommend one to someone. As mentioned above, I do find some value in it. But in reality, if I were to forget my watch at home, I wouldn’t turn around and go back and get it like I would my phone. Even using one of the newer Series 2 version that has the faster processor, I wont use the apps. For what it is, I like it. I wear it everyday. But you don’t need it. If you are fortunate enough financially to purchase one, have at it. 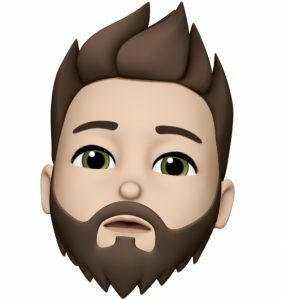 If you are worried about getting the next iPhone when it comes out and don’t know if you can afford the 128GB over the 32Gb, save your money and get the iPhone you really want. Next Post How smart is the Apple Smart Battery Case?